Give your Eastbourne or East Sussex property a new lease of life with market-leading double glazing from Windows Xpress. With our vast range of double glazed products and services, we guarantee there’s something for you. We offer a wide range of windows and doors to choose from, and our experts can find and recommend the perfect double glazing for your Eastbourne home. When you choose Windows Xpress for your doors, windows, or conservatory, you can’t go wrong. Our team are highly qualified with expert knowledge and experience in all things double glazing, so you can trust us to find the best product for your individual wants and needs. 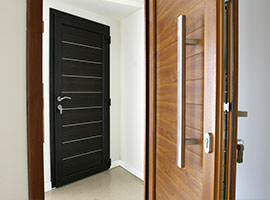 In addition to our wide range of uPVC windows and durable composite doors, we can also advise on many other services. This includes the best solutions for your roofline renovation and conservatory styles to fit every property. What Double Glazing Can We Offer You? Windows Xpress offers a number of options when it comes to finding the right double glazed windows for you and your home. 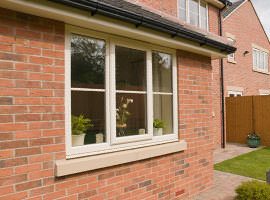 Our uPVC windows are sourced from the market-leading Liniar uPVC Profile. This means that you can rely on the quality and know that your product is protected for 10 years. Our expert team can advise you on what style will suit your needs and your Eastbourne property, ensuring you get the best possible service. Our uPVC double glazing doors come in a wide range of styles, and we’ll help you find the perfect double glazed entrance. 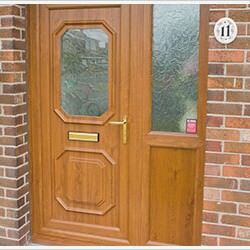 We also offer Composite doors which are a mixture of uPVC and timber that will give your home the ultimate protection and a modern entrance. Get in touch today to talk to one of our advisors about getting your brand new double glazing door for your Eastbourne home from Windows Xpress. 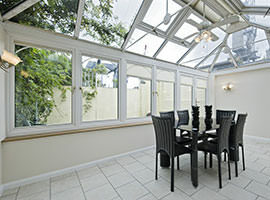 Installing a conservatory or an orangery can be less expensive than moving. Extending your home this way will supply you with additional space that can be used as a lounge, playroom, dining area - anything you can think of! Our high-quality double glazed extensions will reward you with an extra room in your Eastbourne home that can be used comfortably all day, every day. 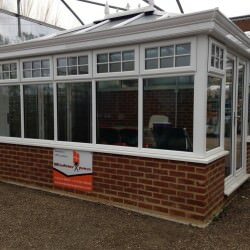 We offer a variety of shapes and styles so even if you are looking to build a glass extension or double glazed conservatory in a small space, we will be able to help. Aluminium double glazing is an extremely sturdy yet sleek alternative to other double glazed uPVC windows and doors. These resilient fittings give you slim sightlines and a contemporary appearance. With the vast selection of RAL colours we offer, you can be sure your aluminium windows and aluminium bi-fold doors will work well with your modern property. If you are looking for aluminium double glazing in Eastbourne, be sure to check out our slimline aluminium windows and aluminium doors. The one part of your home that is most often forgotten is the roofline. These need to be consistently maintained as neglected soffits and fascias not only affects the aesthetic appeal of your property but will also hinder the effectiveness of your drainage. We offer uPVC roofline products alongside our double glazing range. 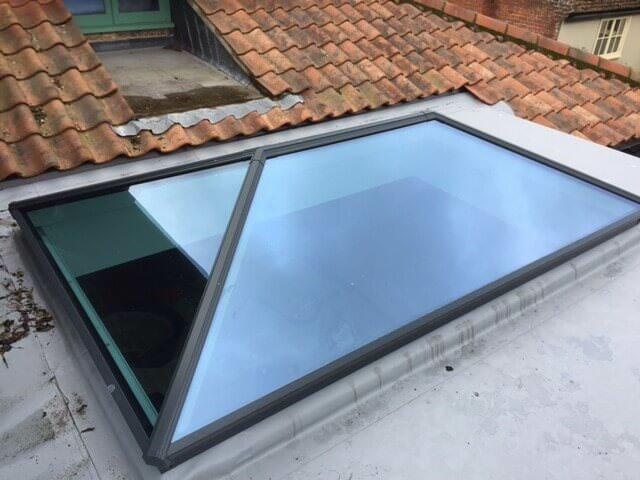 You may also need to replace your tiled conservatory roof or are looking for a glazed lantern roof fitting for extra light. Windows Xpress has a variety of products available to clients in Eastbourne and surrounding areas that will compliment your double glazing. We offer you a smart way to ensure your home is protected from all angles. When choosing from our large range of stunning double glazed windows and doors, it’s important to think about more than just how they’ll look. Windows Xpress take all of the hard work away from you and take it into their own hands. We will work with you to make sure our products benefit your home in as many ways as possible. Whilst aesthetics isn’t the only thing to consider for your home, we know that the appearance of your house is very important. We use a number of different materials when it comes to developing our double glazing. With ranges in both uPVC and aluminium, you have a wealth of options. If you’re looking to maximise the amount of natural daylight in your home then aluminium is the choice for you. With its slim, lightweight properties, it allows us to create products with less frame and more glass, without reducing quality. Not only are our high-quality products the perfect insulators, incredibly secure, and extremely attractive, they’re also very affordable. No matter what your budget, we will work with you to provide an excellent service and a choice of double glazing solutions which are perfect for you. All of our products are fully sealed, so you no longer need to worry about the detrimental effects of condensation on your home. Say goodbye to mould, damp, and mildew build up as your new double-glazed windows and doors are fully sealed and insulated, reducing the risk of condensation forming on the inside of your property. Our weatherproofing also ensures that you never have to worry about draughts and water seepage. Aside from combating condensation, our double glazing will also help to keep your home warm. The insulating qualities of double glazing allow your home to stay at a consistent temperature in comparison to old windows and doors - More heat is lost through poorly insulated windows or doors. With our replacement double glazing in Eastbourne, you’ll find that your energy bills are significantly reduced as you can cut down on how often you use your heating. Our double glazed doors and windows are made of materials that are highly durable such as uPVC, aluminium and composite materials. They are incredibly difficult to damage and we also give you state-of-the-art locking systems to give your Eastbourne home complete protection. You and your family are always safe in your home, helping you sleep easy at night. Additionally, we provide impressive colour and finishing choices, giving you the freedom to match your double glazed windows and doors to the décor of your home. We offer a wealth of double glazing profiles and styles so you can find products that match your property's architectural style internally, and externally. Our quote builder will present you with an instant online cost for your windows, doors or conservatory replacements in Eastbourne. If you are looking for double glazing prices in Eastbourne or East Sussex you have come to the right place. We offer an online quoting service which allows you to enter your specifications and we will offer you an instant estimated price of your home improvement project. Just begin a customized quote through our online system or get in touch for more information. It's so simple to get a free double glazing quote right now! Here at Windows Xpress, we believe in offering you excellent service when it comes to double glazing. But don’t just take our word for it, head over to our Checktrade to read some of our testimonials from satisfied customers. To talk to one of our team about double glazing prices, or to find out more, please send us a message using our contact form.